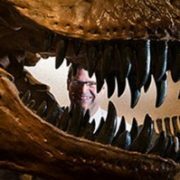 Special thanks to Judy M. Gantt, Director, David J. Sencer CDC Museum, for this #MuseumDayLive guest post. Opening on Smithsonian Magazine Museum Day Live, 9.28.13, Health is Human Right: Race and Place in America examines some historic challenges of the past 120 years in achieving health equity for all in the U.S. The exhibition is on view at the David J. Sencer CDC Museum, a Smithsonian Affiliate in Atlanta, Georgia. 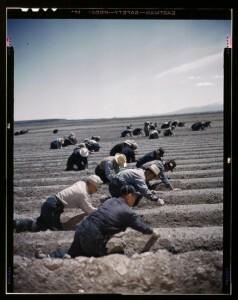 The exhibition features images from the National Museum of American History that document the El Bracero program, a guest worker program started in 1942 to address the shortage of labor needed for agriculture and railway maintenance, as many men in the U.S. left to fight World War II.Â During the period from 1942-1964, about 4.6 million Mexican agricultural workers crossed the border under the program to work in more than half of the states in America.Â Â Many of these workers faced discrimination, poor living conditions, and inadequate housing. Upon crossing the bridge from Mexico, men were led through a makeshift booth, and sprayed with DDT by Department of Agriculture personnel. Photograph by Leonard Nadel, 1956. 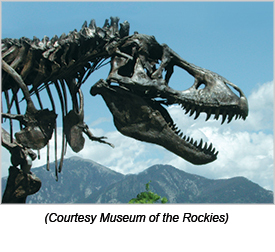 Is the Smithsonian in your neighborhood? Find out which other Affiliates are participating inÂ #MuseumDayLive on September 28, 2013, here. 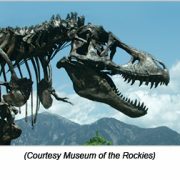 Bring 101 Smithsonian Objects to your Neighborhood! 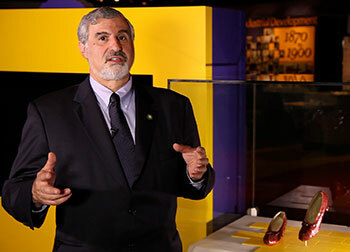 Ok, so we canâ€™t actually send 101 artifacts on the road all the time, but we can send Smithsonian Under Secretary for Art, History, and Culture Richard Kurin! 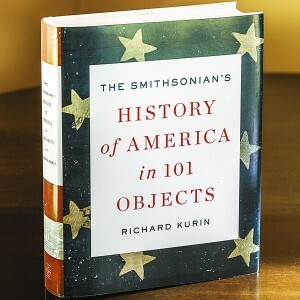 Aided by a team of top Smithsonian curators and scholars, Richardâ€™s new book The Smithsonian’s History of America in 101 Objects, is a literary exhibition of objects from across the Smithsonian that together offer a marvelous new perspective on the history of the United States. 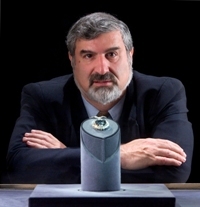 After the success of his book tours in Affiliatelandâ€”Madcap May: Mistress of Myth, Men, and Hope and Hope Diamond: The Legendary Story of a Cursed Gemâ€”Richard is looking forward to visiting Affiliates again and sharing these fascinating stories from American history. Richard kicks off the Affiliate tour on Tuesday, November 12 at the National Museum of American Jewish History in Philadelphia. One of the unexpected selections in his book is a vial of Jonas Salkâ€™s polio vaccineâ€”which just happens to be on view at NMAJH in their Only In America gallery, on loan from the Smithsonianâ€™s National Museum of American History. Ranging from the earliest years of the pre-Columbian continent to the digital age, and from the American Revolution to Vietnam, each entry pairs the fascinating history surrounding each object with the story of its creation or discovery and the place it has come to occupy in our national memory. 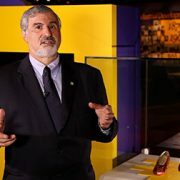 He sheds remarkable new light on objects we think we know well, from Lincoln’s hat to Dorothy’s ruby slippers and Julia Child’s kitchen, including the often astonishing tales of how each made its way into the collections of the Smithsonian. Other objects will be eye-opening new discoveries for many, but no less evocative of the most poignant and important moments of the American experience. Some objects, such as Harriet Tubman’s hymnal, Sitting Bull’s ledger, Cesar Chavez’s union jacket, and the Enola Gay bomber, tell difficult stories from our nation’s history, and inspired controversies when exhibited at the Smithsonian. Others, from George Washington’s sword to the space shuttle Discovery, celebrate the richness and vitality of the American spirit. In his words, each object comes to life, providing a near-tactile connection to American history. Beautifully designed and illustrated with color photographs throughout, The Smithsonian’s History of America in 101 Objects is a rich and fascinating journey through America’s collective memory, and a beautiful object in its own right. Interested in booking Richard for a speaking engagement and book signing at your organization? Contact your National Outreach Manager. Availability is February 2014- June 2014. Interested in stocking your shelves with a great gift? Pre-order here! https://affiliations.si.edu/wp-content/uploads/2013/09/kurin101obj.jpg 252 350 Elizabeth Bugbee https://affiliations.si.edu/wp-content/uploads/2019/03/si_Affiliations_rgb_single-line_color-280w-1.jpg Elizabeth Bugbee2013-09-24 14:50:562017-03-10 17:50:30Bring 101 Smithsonian Objects to your Neighborhood! South Dakota State Historical Society will host a special webcast of the National Air and Space Museum entitled Star Trek’s Continuing Relevance, in Pierre, 10.13. 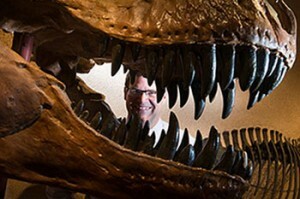 Sarah L. Voisin/The Washington Post – Kirk Johnson of the Smithsonian Institutionâ€™s National Museum of Natural History, is pictured through the cast of a Tyrannosaurus rex head. Plimoth Plantationâ€™s Wampanoag Indigenous Program has been creating mishoons, traditional Native American canoes, for the past 40 years, but this year the hard work is being recognized. On Thursday, a mishoon made this spring will be ready to leave for the Smithsonian Institution in Washington, D.C.
“I think thatâ€™s one thing absolutely fantastic about the history of the United States is that you do not necessarily have to be from that place to make a difference. And I still think that continues today because we see it throughout the wonderful history of our country,â€ Docog said. Affiliates hear it first from SITES! Celebrate your special connection to the Smithsonian. 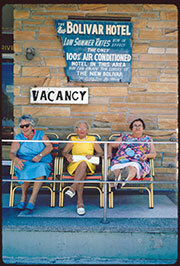 SITES is offering Smithsonian Affiliates first dibs on booking these BRAND NEW exhibitions before we market them widely. Contact us today to reserve your preferred booking period. Flip Shulke, South Beach, Miami Beach, Florida, June 1973. DOCUMERICA Photography Project. National Archives. In 1971, inspired by the Farm Security Administration’s photography project of the 1930s and 40s, the newly established U.S. Environmental Protection Agency launched the DOCUMERICA Photography Project to document environmental troubles and triumphs across the country.Â About 70 photographers, including Flip Schulke, John Corn, Danny Lyon, and John H. White, were urged to capture “the human connection” to the environment, from small towns in coal country to urban streetscapes.Â What emerged was a moving and textured portrait of America.Â Capturing a rapidly changing world with surprising resonances to the present, DOCUMERICA culls some of the most striking photographs from a trove of thousands. This unique exhibition is a collaboration between SITES and the National Archives and Records Administration which now holds the original DOCUMERICA photographic materials. You can browse through thousands of DOCUMERICA images on their website and Flickr. The suburban backyard is so familiar it feels like a permanent fixture of American life.Â But it’s actually an invention of the 1950s that grew up along with the Baby Boomers.Â Produced in partnership with the Smithsonian Archives of American Gardens, Patios, Pools, and the Invention of the American Backyard is a fun, retro look at the concept of â€œoutdoor livingâ€ that was created in post-World War II America.Â From the mid-century rise of the suburbs and changes in home design to the popularity of DIY,Â barbecues, and tiki parties, the exhibition explores trends in society that were reflected in the typical American backyard.Â Topics include post-war garden design such as the Western, New Canaan, and Japanese styles, and the role of female landscape architects and tastemakers.Â Patios, Pools, and the Invention of the American Backyard documents the new technologies and materials that led to inexpensive home pools and aluminum patio furniture, as well as the use of chemicals such as DDT and the resulting nascent environmental movement.Â From Levittown to Dr. Seuss’ The Lorax, don’t miss your chance as an Affiliate to reminisce about the American backyard. A celebration of Hindu marriage vows renewal. Photo: Preston Merchant. Â From builders of the first railroads in the American West to leaders of the digital economy, immigrants from the subcontinent of India and their descendants have made deep and lasting contributions to the American story.Â Beyond Bollywood:Â Indian Americans Shape the Nation, created in collaboration with the Smithsonian’s Asian Pacific American Center, explores the Indian American experience and this community’s vital political, professional, and cultural contributions to American life.Â Weaving together stories of individual achievement and collective struggle, the exhibition uses photography, vibrant color and design, narrative prose, and engaging interactives, to tell this uniquely American story.Â Beyond Bollywood is an inspirational look at the history and contributions of this community that merges India and America.Â This exhibition tour is a wonderful opportunity for SI Affiliates to educate, honor, and engage this burgeoning population across the country! We hope you’ll take advantage of these early-bird notices only for Smithsonian Affiliates- another benefit of your being a partner toÂ the Smithsonian! https://affiliations.si.edu/wp-content/uploads/2013/09/patio.jpg 144 183 Jennifer Brundage https://affiliations.si.edu/wp-content/uploads/2019/03/si_Affiliations_rgb_single-line_color-280w-1.jpg Jennifer Brundage2013-09-24 14:09:072017-03-10 17:50:30Affiliates hear it first from SITES! The air is turning crisp, butÂ Affiliate accomplishments continue to shine! History Colorado will design, create, pilot, and evaluate five multilevel 21st century skills-based Colorado History Digital Badges for children in fourth, seventh, and eleventh grades. Each badge will challenge students to complete various quests or activities in conjunction with the learning standards for their appropriate grade. The USS Constitution Museum (USSCM) will use its grant to identify characteristics of family programming that result in active intergenerational engagement, enjoyment, and learning in museums and libraries. The project seeks to create a robust yet flexible set of guidelines for creating genuine intergenerational learning experiences disseminated through workshops, online resources, conferences, and publications. The Michigan State University Museum will purchase archivally stable storage materials, museum-quality cabinets, and a mobile storage system to create appropriate storage for an 827-box prehistoric and historic archaeological collection to ensure its safety and that of its users and to provide capacity for future collection expansion. The rehousing project will facilitate access by faculty, graduate students, and visiting scholars who regularly use the collections. The Arab American National Museum (Dearborn, MI) has earned accredition by the American Alliance of Museums. The Board of Trustees of the Long Island Museum (Stony Brook, NY)Â announced that Neil Watson has been appointed Executive Director.